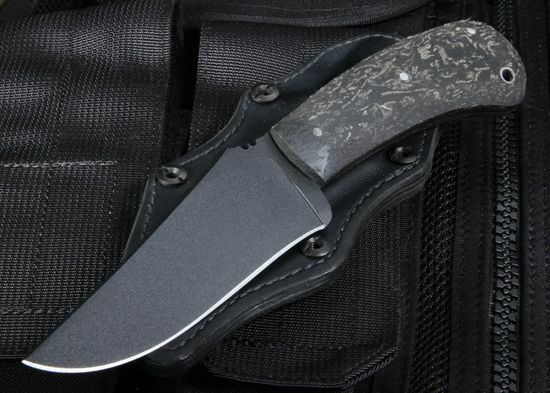 Daniel Winkler went into the knife business with an appreciation in mind when it came to the needs of outdoorsmen and elite military operators. But as a lifelong student of history, he was also influenced by the designs that have shaped the design of combat knives for centuries. Many of his designs wouldn't feel out of place in the early American Frontier, yet they carry with their pedigree centuries of practical application when it comes to blade design. The Winkler Belt Knife is beautiful in its simplicity, which is probably why it is one of Winkler Knives most popular models. The Winkler Belt knife features a drop point design, with aggressive thumb index file work, which makes for some impressive cutting power as well as the ability to do refined work as well. At 9" in overall length, the Winkler Belt knife has a 4.5" blade finished in the non-reflective black oxide, Caswell. This gives the 80CrV2 stainless steel the benefit of a tactical look as well as additional corrosion protection in any climate. The 3/16" thick tool steel stock is rated at around 59-60 HRC, which means it is tough as well as hard and will easily take and keep a razor sharp edge. The tapered tang extends the full length of the rubber handle, providing extra strength and durability. The swept design and light ergonomics make for a comfortable feel and the lanyard hole allows for a variety of carrying options with the use of paracord. 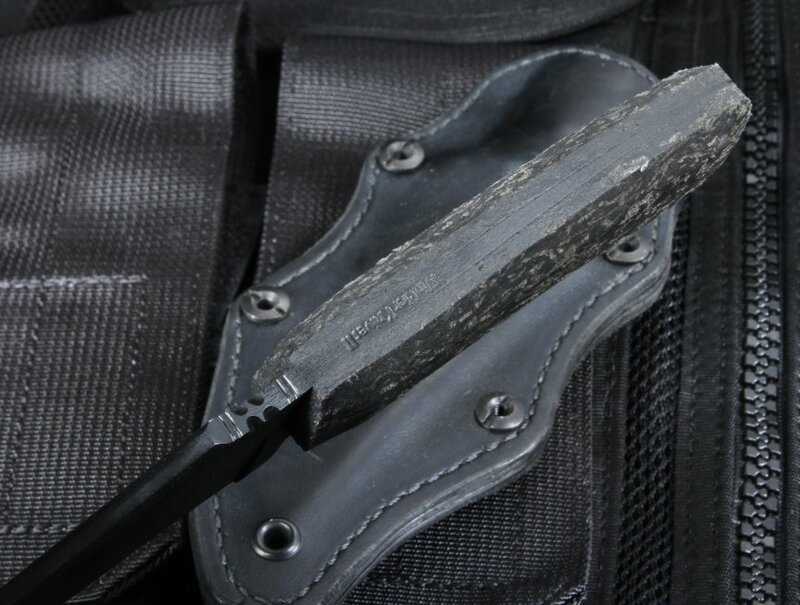 This Winkler Belt Knife comes with a black leather sheath and spring steel clip with allows you to easily fix it to your belt or tactical gear. All Winkler Knives are proudly made in the USA. As an authorized dealer of Winkler Knives, Knifeart.com offers fast, free shipping in the USA. These curated knives also come with a 100% satisfaction guarantee. If you don't like your purchase for any reason, simply return it for an exchange or a full refund and you will not be charged a restocking fee. Superb strong blade with excellent cutting properties. Rubber handle holds well particularly in the wet. The leather sheath is awesome and really holds the knife well when under exertion and movement. 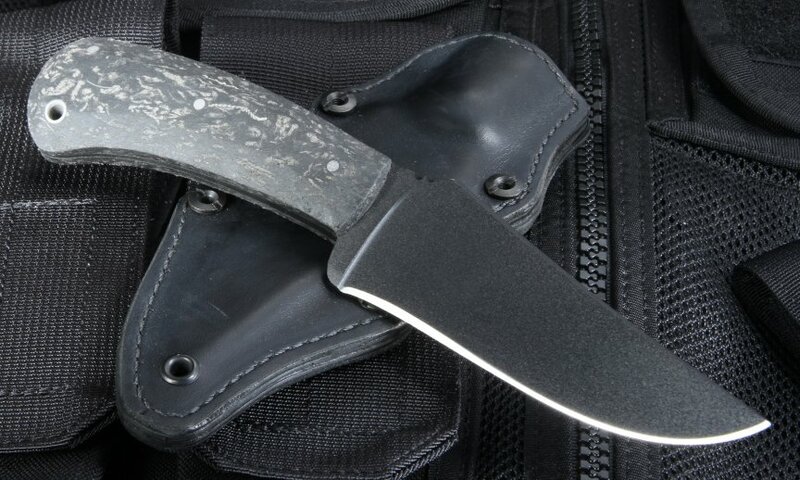 Great knife for combat or hunting applications. Finally I have bought from these guys before and as always outstanding customer service with prompt delivery.